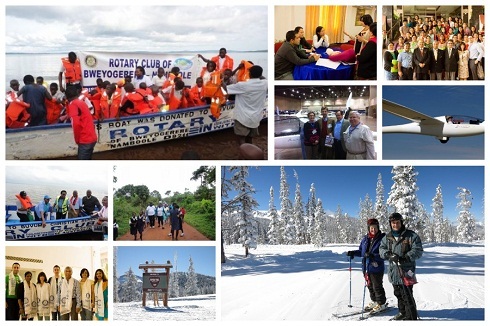 With June coming to a close, we hope you enjoyed our selection of unique stories from different Rotary Fellowships about the service activities they undertake, enhanced by their member’s shared interests and expertise. As we have seen throughout the month, service comes in a variety of formats. In some cases it is filtered through a shared vocation, as evidenced by the Yachting and Flying Fellowships, while other times it is closely aligned with Rotary’s Areas of Focus, as the case with the International Fellowship of Rotarian Doctor’s program, CALMED. 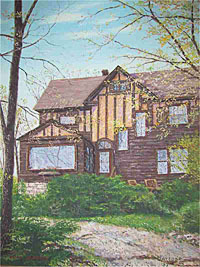 Mayford painting of Comely Bank, the home of Paul and Jean Harris. While Rotary channels our commitment to service at home and abroad through its Guiding Principles, there is still room for interpretation, and to that effect, some Rotary Fellowships approach service initiatives by preserving and promoting the legacy and history of our organization. The Rotary Heritage and History Fellowshipand the Rotary Global History Fellowship serve Rotary by helping save, share, and above all promote the significant legacies, artifacts and history. From the smallest details about a Rotary club to the some of RI’s most important historical sites, these two Fellowships help to ensure that Rotary’s legacy is not forgotten. On the one hand, the Rotary Heritage and History Fellowship works to advocate and promote the important history of Rotary International by focusing on physical artifacts and significant sites. 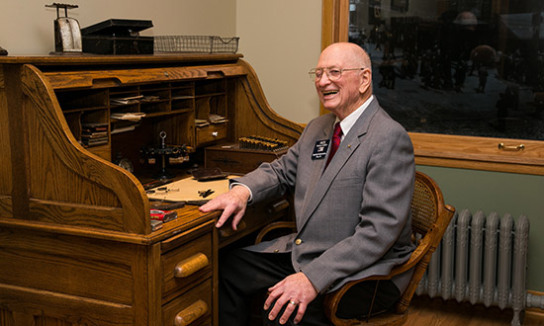 Besides playing a role in preserving the important Room 711 of the Unity Building in Chicago (which was recently reassembled and opened to visitors at the RI World Headquarters), the Fellowship has been instrumental in trying to save Comely Bank, the home of Paul and Jean Harris. While similar in orientation, the Rotary Global History Fellowship focuses on accumulating, preserving, and most importantly sharing the complete history, values, and philosophy of the Rotary movement. Their website(s) now maintain thousands of articles, essays, speeches and other information that date back to the organization’s founding, and they actively encourage members to contribute, maintain and complete the histories of the organization as a shared responsibility. Regardless of how Rotary Fellowships approach service under their respective domains, they are foremost about engaging member’s passions, interests and vocations – energy that can translate into impactful, sustainable service initiatives. WHY AREN’T there toilets? What arent water supplies to the. Community? Have you asked for budget performance – usually lamentably below 45 or 50% since the 1999 democracy years till the hoped for change year ? Have you asked the a bettors and managers of our funds? greed and ethics – are they bedfellows? isn’t Rotary very much inured for a purpose of performance and implementation of whatever projectsare jointly designed to be done anywhere a Rc exists functionally ? How else shall we write history of modernity and say bad he to archaic standard- without Rotarian values ?